The exhibition revolves around ideas of constructed identities, social labelling and stereotypes. 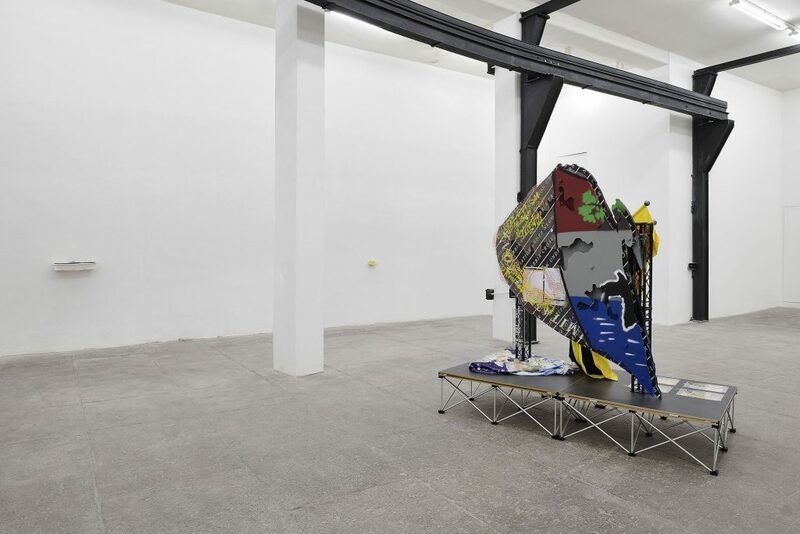 It brings to the space new and recent artworks by Lucas Blalock, Simon Denny, Maggie Lee, Woody Othello, Hannah Perry, Lui Shtini and Anna Uddenberg. 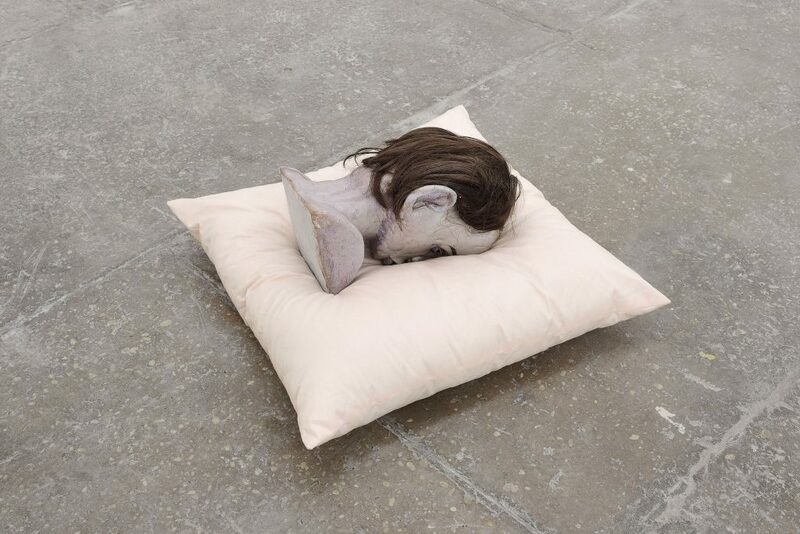 All these artists play with these socially constructed identities, and dramatically alter their forms so to expose the frailty and vulnerability that is hidden behind their naïveté. 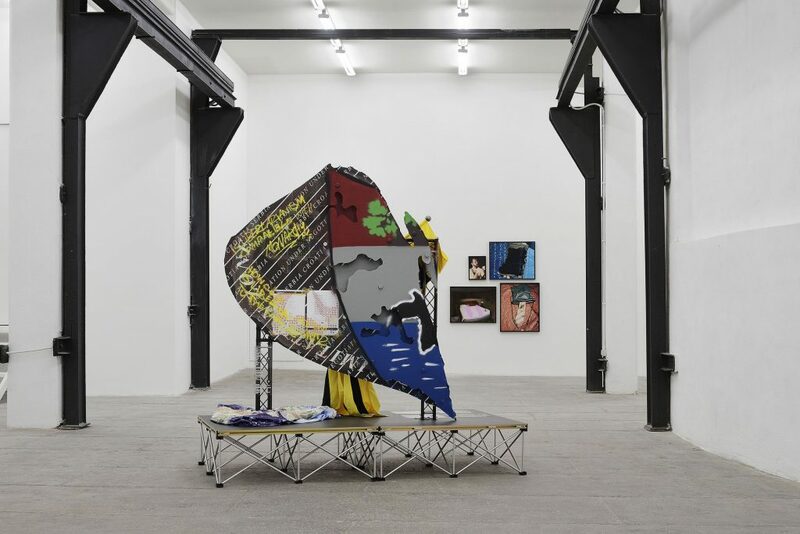 The creative alteration of social stereotypes that is presented in this group show leads to a multitude of misunderstandings that is precisely what these artists look for in their yet different practices. 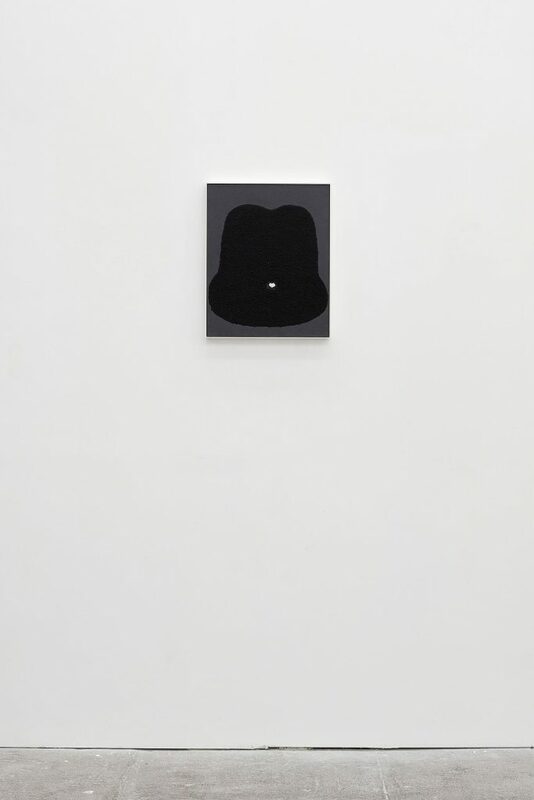 Indeed, such transformations and subsequent misinterpretations provide those forms, bodies and objects with the possibility of a defence in front of the inquisitive eye of the viewer. Their metamorphosis occurs as a way to safeguard the still unexpressed potentialities of their identities, that may want not to be completely seen, even when they ask to be seen differently. Lucas Blalock’s photographs of mundane objects blur the line between what is seen and what is real by altering the original image with evident traces of post-production processes that inevitably transform the identity of what is portrayed. In The Sleepers (2016), an empty bed with pillows on one side hosts two lonely and distant bodies, suggested through quick and rough pink digital brushes. 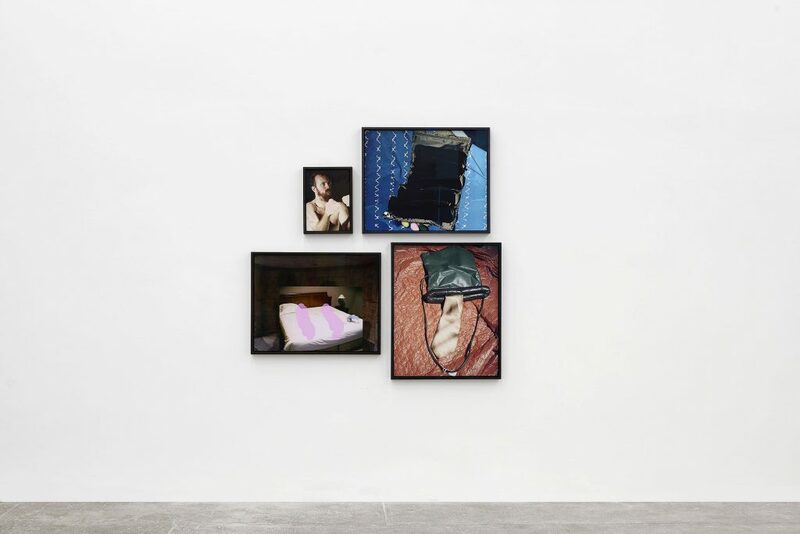 Proposing new ways of seeing the ordinary, the artist’ intentional use of Photoshop unfolds as a way to assemble multiple visions in the form of a unique object, and thus manifests Blalock’s painterly approach to photography. 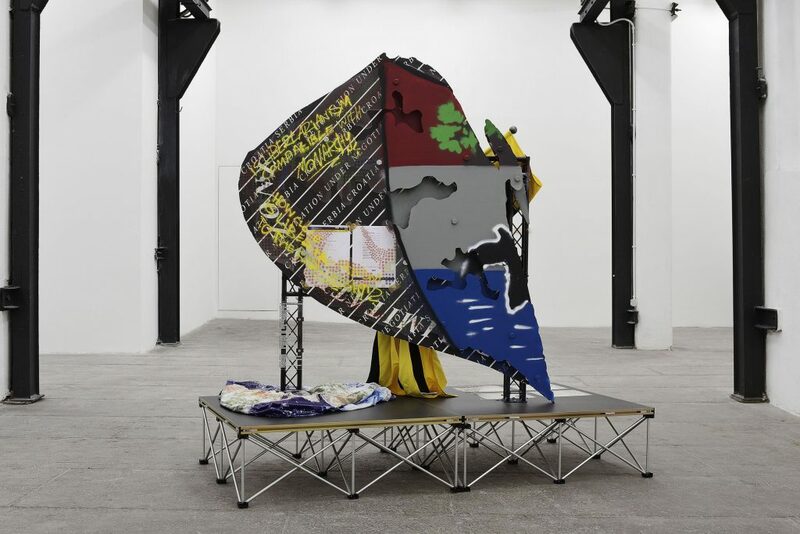 Simon Denny’s new sculpture represents the map of the Free Republic of Liberland, a self-proclaimed libertarian nation supposedly located in a 7 square kilometre delimitation zone under territorial negotiation between Croatia and Serbia. In attempts to look official, Liberland’s public appearance includes its own currency, stamps, a flag and coat of arms. To explicate its (plausible) social activities the artist places on top of the map a second layer showing the winning result of an architecture competition to build on Liberland. 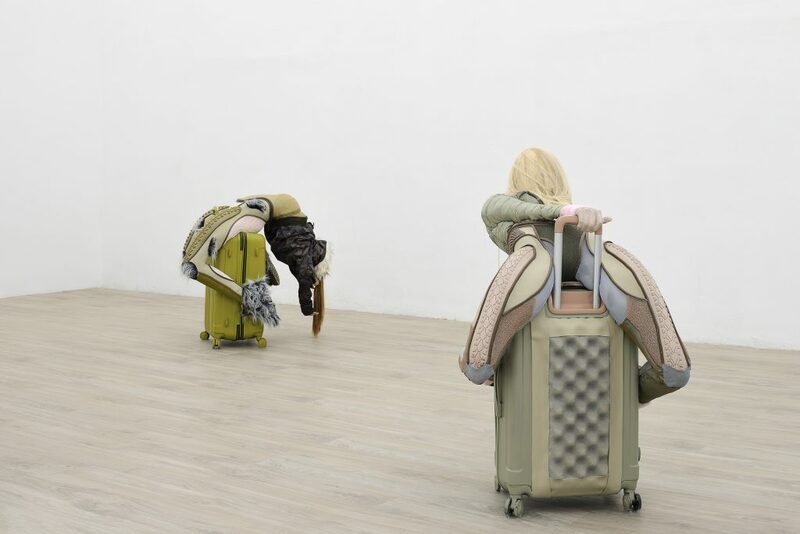 Denny’s sculpture seems to ask questions growing ever more urgent in Europe and beyond. How close is libertarianism to the resurgent far-right? What are the implications of ignoring existing geopolitics in pursuit of financial shadow structures? What ground –literal and figurative­– will techno-libertarians and the far-right share in the near future? Maggie Lee’s Mommy (2015) is a documentary about the artist’ personal story and the loss of her mother. The story is told in chapters; yet, all the scenes progress, following one another in a restless process of accumulation of videos, photographs, texts, animations and sounds. The chapter titles and mood boards for each sequence was realised through a software program called to.be. Through the assiduous layering of all kinds of imagery, sound, and archival material, Lee wants the viewer to experience the narrative through all senses possible. 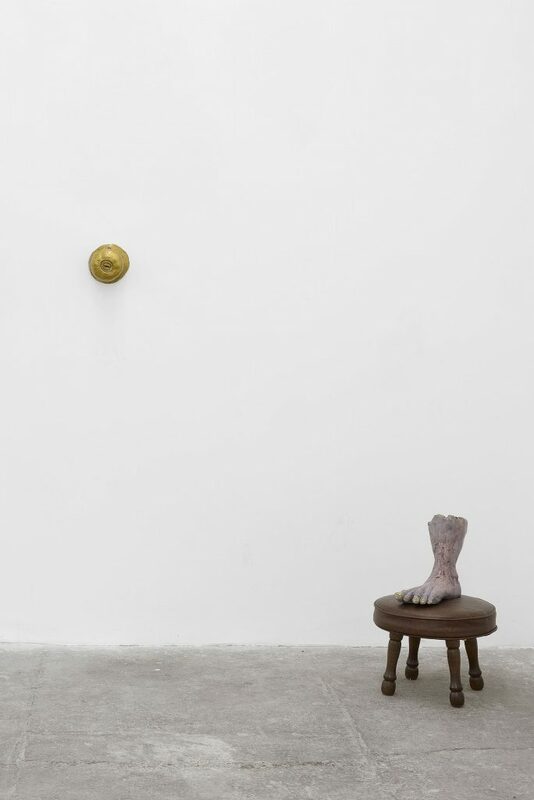 Lee masters the tension between the projection and the real, the image of what has been and the flesh of what remains. 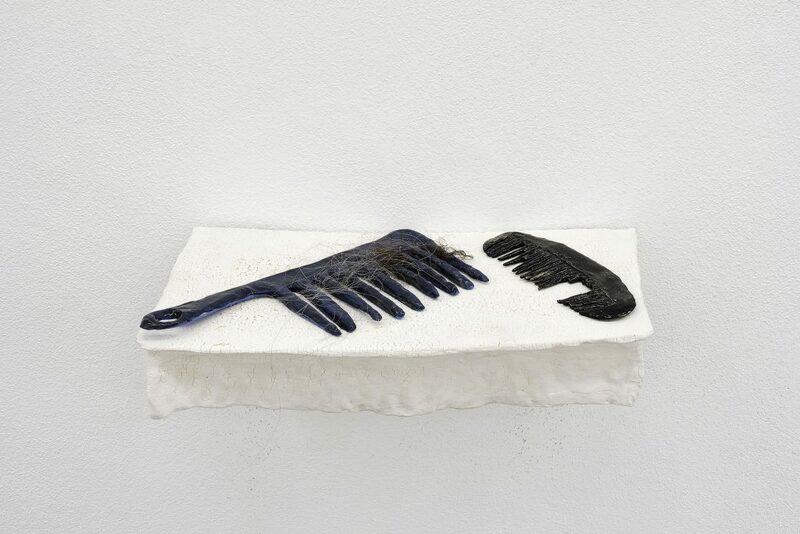 Othello’s hyper-real ceramic sculptures resemble everyday objects like combs, a soap dish, a door handle, and a towel bar. Depicting the harms and marks outside stimuli have eventually left over these deteriorated items, Othello gives form to physical representation of emotional states. 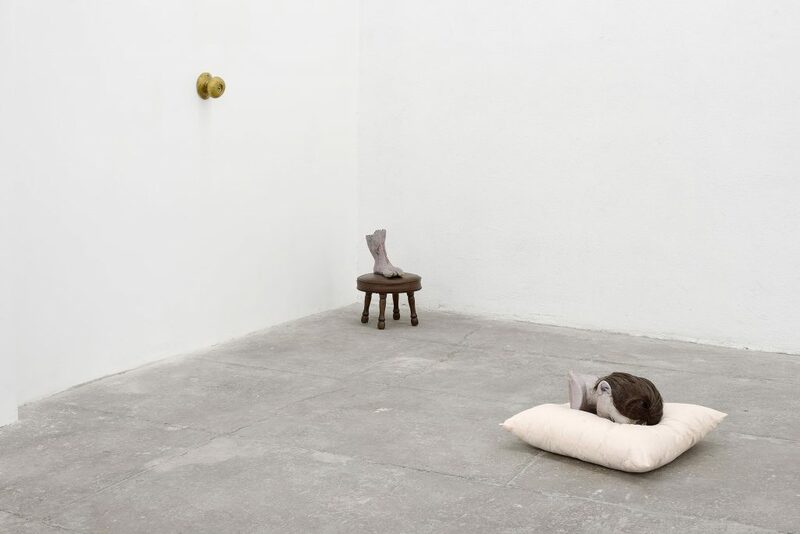 Indeed, the artist always places his sculptures into highly oniric installations that remind of cinematic settings and constructed realities. The hopelessness of Othello’s miserable and grotesque objects tells a story about (quoting the artist) “the strain between outside stimuli conflicting with personal desires’, to such an extent that those objects possibly assume anthropomorphic features. In Hannah Perry’s film Baby Brain (2016), the conflict arising from social conditioning takes the form of an intimate quest about the self, and how this self may perceive itself as a gendered subject. 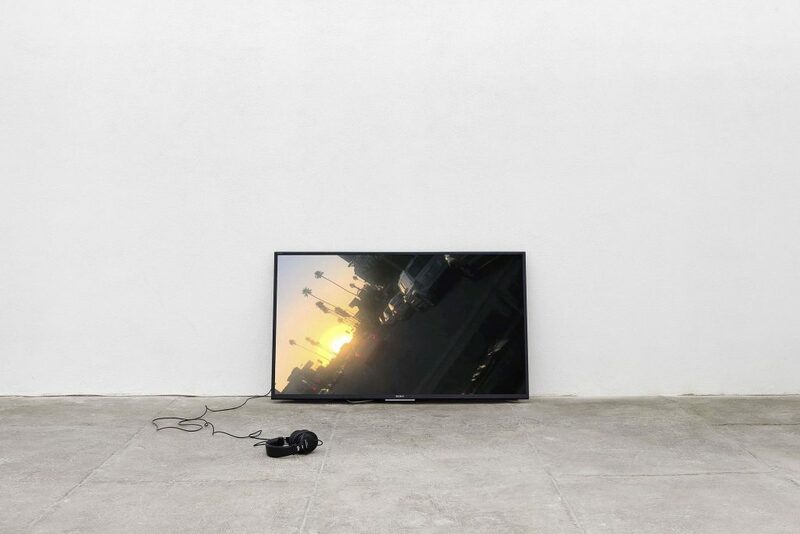 Hannah’s film is composed by appropriated footage (YouTube, Snapchat) and footage she films herself on different devices depicting her everyday surroundings. Different types of sources are meshed together in the flow of personal narrative: in this case the surrounding is LA and her discovery of a new city whilst going through a breakup is at the centre of the film. 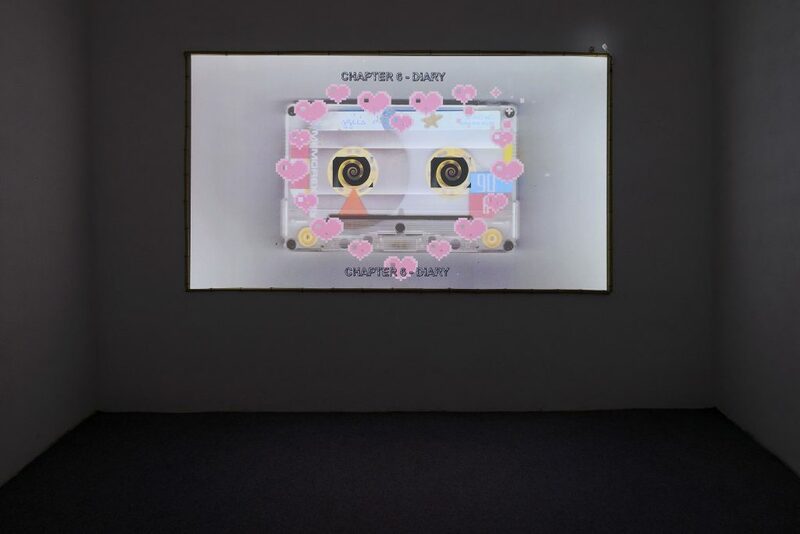 All moving images are altered by Perry in older to adapt each sequence to the rhythm of the different sounds featured in the film: the artist’ voice as narrator, field recordings, extracts of conversations about feminist theory and the music Perry composes by herself. Working in portrait format just in order to subvert its conventions, Lui Shtini creates small paintings whose abstract forms undeniably evoke human features, like faces, moustaches and genitalia. However, these totem-like bodies and figures never reveal completely their identity, swinging between the obvious and the occult. Treating those skins as means of penetrating deeper into one’s psyche, Shtini’s works are meant to elicit a very personal identification of the viewer with the image, forcing whoever looks at them to get lost into the vivid textures that compose them. 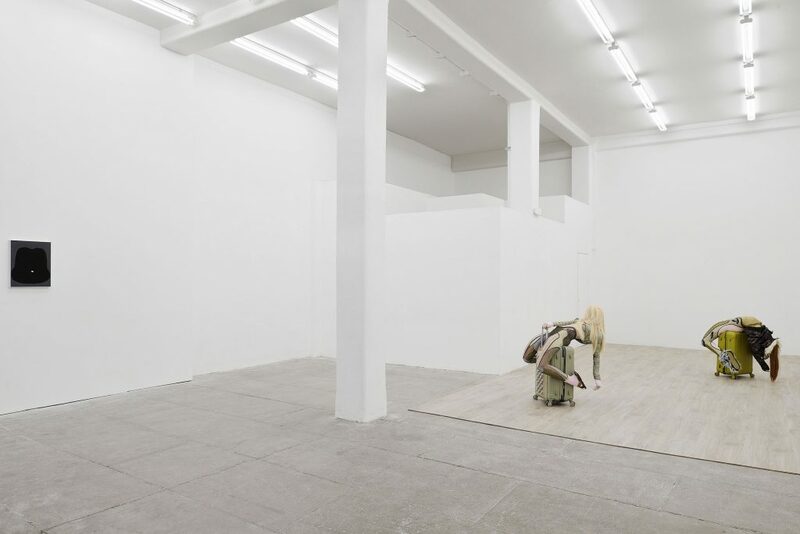 Through the feedback loop of consumerist culture Anna Uddenberg investigates how body culture, spirituality, and self-staging are intertwined with the mediation and production of subjectivity by new technologies and forms of circulation. 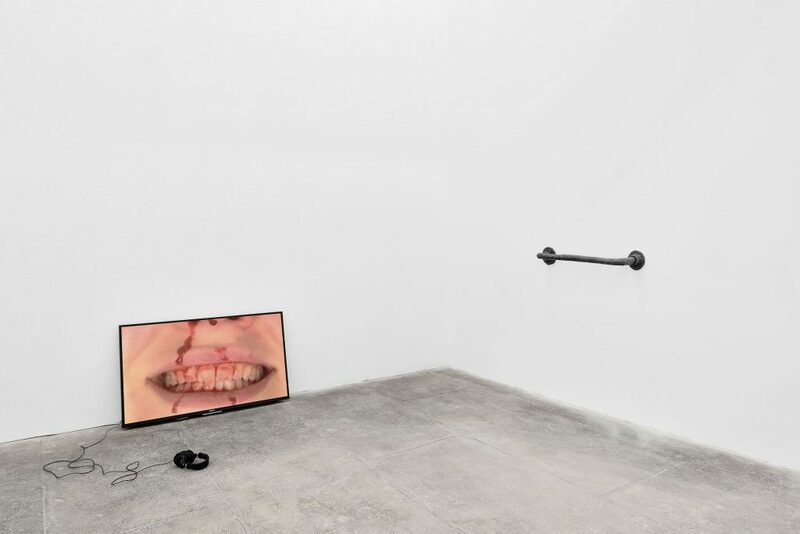 Her practice is a space for reflecting on taste/class, appropriation, and sexuality, which integrates earlier approaches to gender theory while pushing these questions into new and intensively material territories. Courtesy of T293, Rome. Photography: Roberto Apa. 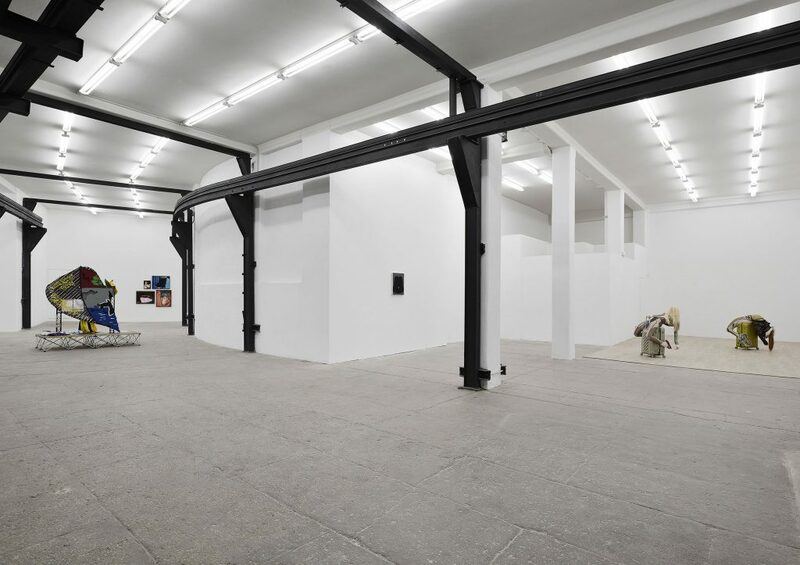 Courtesy of the artist and Kate Werble gallery, New York. 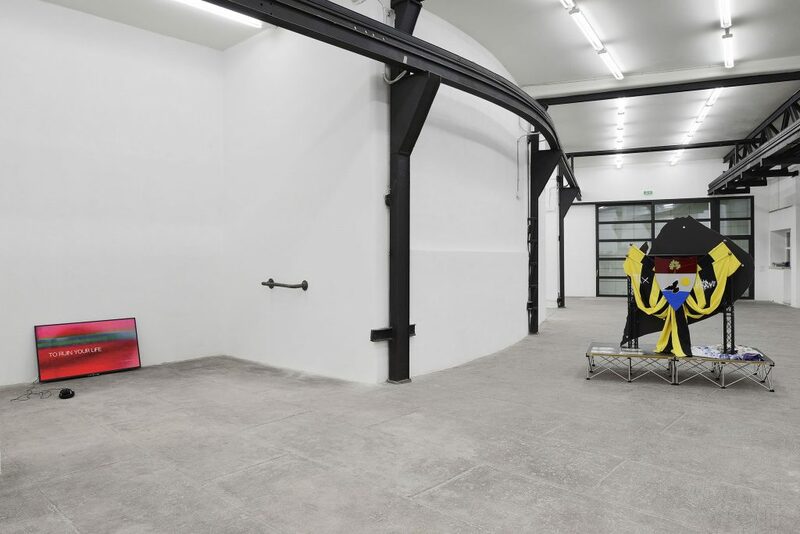 Courtesy of the artist and Kraupa-Tuskany Zeidler, Berlin.